In an effort to rein in ICBC’s ballooning costs, the government recently made sweeping changes to the rules of expert evidence. Experts and expert reports are used to address the issue of damages that a plaintiff has suffered — such as wage loss, future wage loss and future care — that can be used by each side of a car accident claim to prove the extent of their injuries. Now, a plaintiff in a car accident claim will each be able to use one expert report for fast-track claims, and up to three experts and reports for all other claims. A serious brain injury or chronic pain can greatly affect a person’s life and proving their claim can require numerous experts. Often plaintiffs who have suffered a severe injury from a car accident need expert evidence from vocational consultants, functional evaluators, doctors and psychologists in order to prove their claim for damages and lost wages. Formerly, plaintiffs under the Supreme Court Civil Rules were not limited by the number of experts they could use to prove their claim. Under the former rule 11-7, a plaintiff was not limited by the number of experts they could rely on to give evidence on their behalf. Defendants rely on their own expert to provide the court evidence often lending to the criticism that ICBC claims are essentially about “dueling experts”.As an example, in Sandhu v. Bates, 2018 BCSC 2116, a plaintiff who was awarded $654,509 claiming for physical and psychological injuries that disabled her from working put forward expert evidence from give experts: a chronic pain specialist, her family physician, a psychologist, a psychiatrist and her treating psychologist. The new changes from the BC government limit the number of experts used in car accident claims. A plaintiff under the new rules is only allowed to serve and rely on up to 3 expert opinions in order to prove their claim. To tender additional expert reports, the plaintiff will have to rely on the court’s discretion to appoint a joint expert or another expert. As reported in the news media, the changes to the rules are aimed at discouraging what the attorney general has labelled “the disproportionate use of experts and expert reports that are now being used in motor-vehicle related court case”. 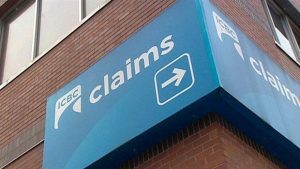 The concern about the new rules surrounding expert reports is that it limits an injured persons’s ability to fully prosecute their claim to the benefit of ICBC. A person claiming for injuries from a slip and fall or for some other negligence would not be under the same strict requirements. The new limits will apply to expert reports in non-motor vehicle cases starting in 2020. If you were injured in a car accident or by someone else’s negligence, give the goodfirm a call and let us see how we can help.